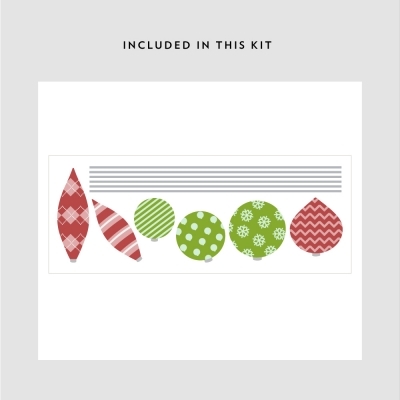 Decorate more than just the tree with our Christmas ornaments syle two printed wall decals! Pair with our Christmas Ornaments Printed Wall Decal for more holiday fun. Sheet size 32" x 11"